$49 per person includes all supplies. Kicks on Route 66 offers a painting class with Kathi Mann. 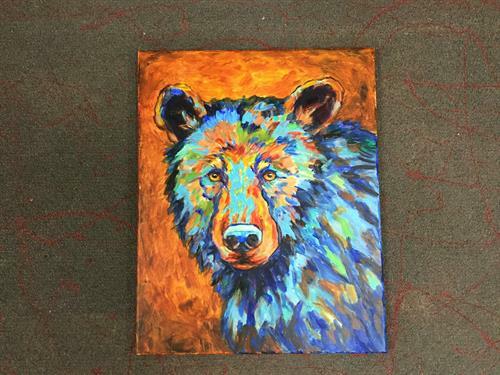 All supplies are included for this acrylic on canvas, 16”x 20”, of a Chromatic Bear, for $49. Bring your friends, your own refreshments, and spend a few hours investing in yourself. Please RSVP at least 3 days in advance to reserve your seat, or call 218-692-5425 by 4pm one day prior to see if space is available.